Cut a paper square about 15 cm x 15 cm. Fold it in half twice. Draw a petal outside the folded corner. Cut around it to create the petals (or leaves). Unfold the paper. Fold the tip of each petal up to the middle—where the paper folds intersect. If you want to have a beetle, draw a oval body on another paper, add six little legs and then cut. Cut two wings and two little eyes—out of a differently coloured paper, and paste them to the body. Place the beetle inside the flower. (You can draw various creatures that hide inside the flower or leaf, such as a little frog on a leaf, a butterfly on a flower, etc.). 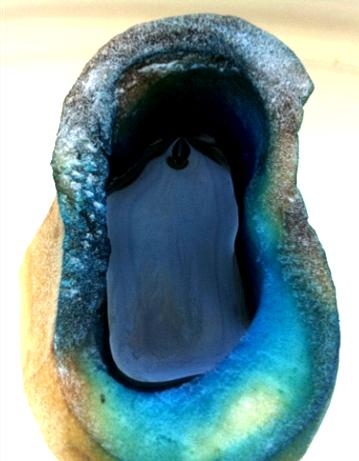 Place the flower (or leaf) in a wide bowl filled with water. 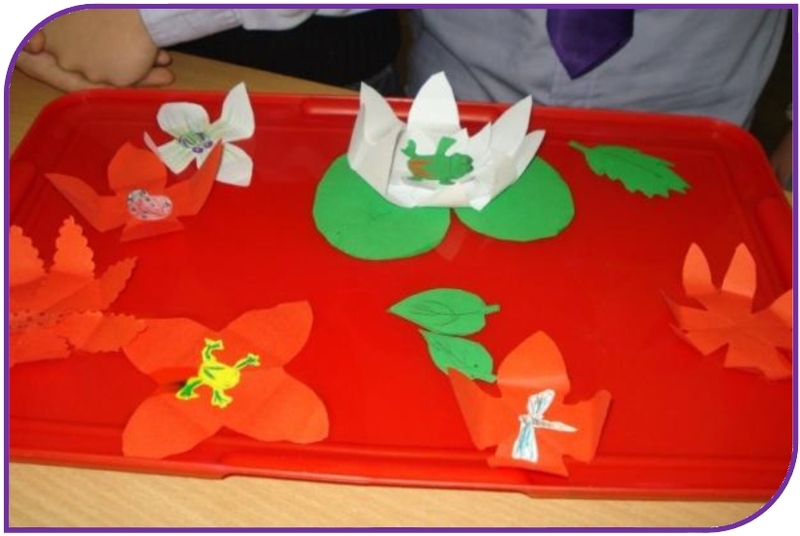 Fashion flowers and leaves out of different types of paper (cardboard, newspaper) and let them float. You’ll notice that some open sooner than others. Results and conclusion: The paper is level when dry. 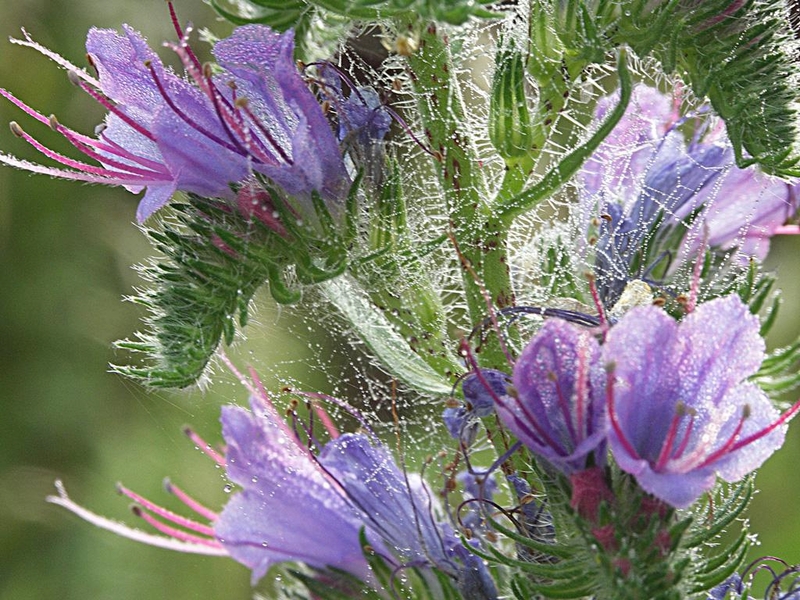 As the paper fibers absorb water, they swell and push the paper outwards, so the petals open. 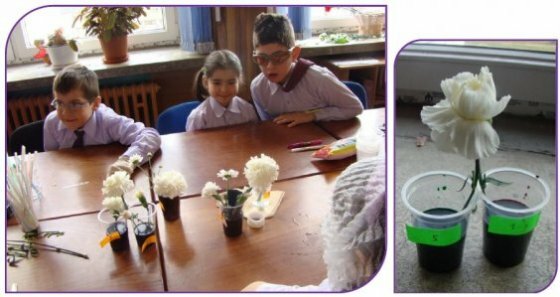 What do you think happens to the leaves of a real plant when it receives no water? Does the appearance of the leaves change when the plant gets enough water? You’ve just purchased some great new shoes, but they’re a bit too tight. What can you do? Here is a method to stretch them out. Fill the plastic bags 1/4 with water and seal. Place a bag inside each shoe and push into place so that it fits the inner shoe completely (be sure it fits right from heel to toe). Place the shoes into the freezer and let the water freeze, perhaps overnight. The water in the bag will turn to ice and stretch your shoes. Remove the shoes from the freezer and allow the ice to thaw for about 20 minutes before trying to remove the bags. Try the shoes on again to see if they fit and repeat the process if needed. Results: The shoes fit now. It’s recommended that you don’t use this method on expensive shoes! Put the water in tube. 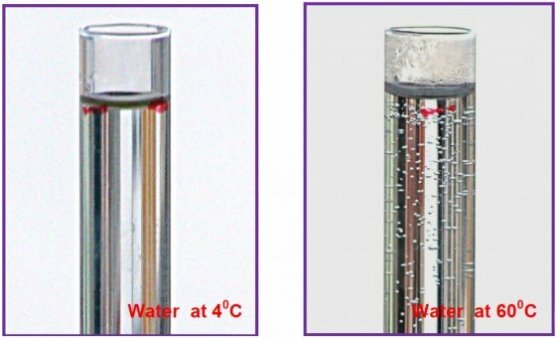 Draw a line mark in the right water level in tube. Place the tube into the freezer and let the water freeze, perhaps overnight. The water in the tube will turn to ice. 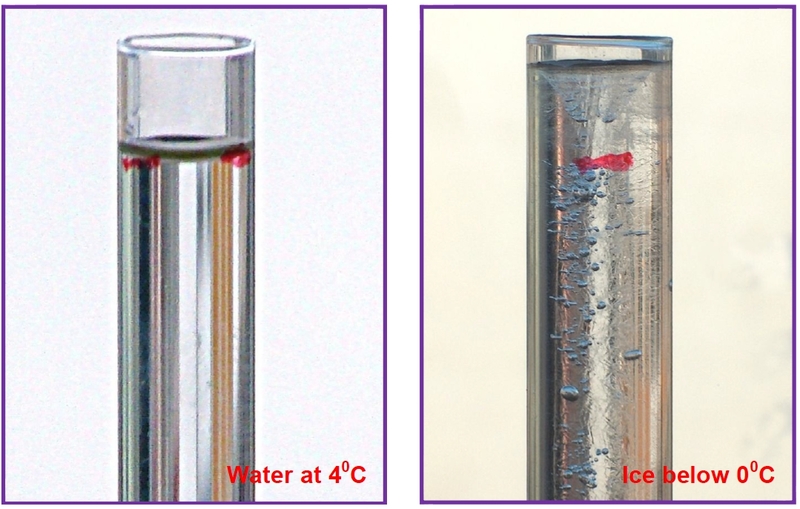 Remove the tube from the freezer and compare the water volume indicate by the line level of water and the ice volume. The volumes are different. The ice volume is bigger than that of water . That’s why when the water in the bag turns to ice, the volume increases and stretches the shoes. Let now the ice in the tube to melt and water to warm slowly. 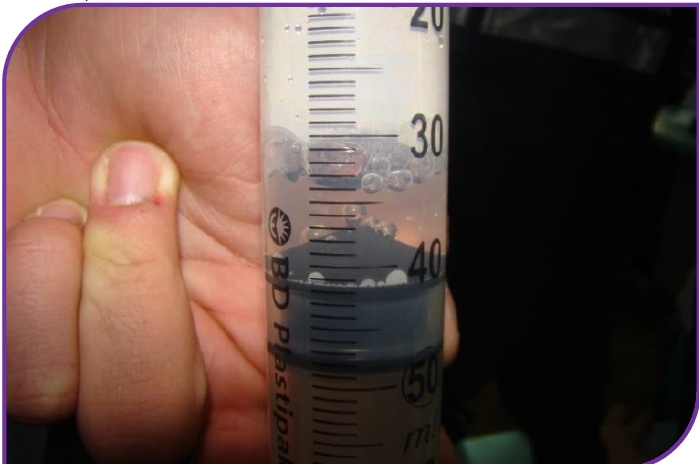 You will see the water level drops to sign (at 40C) and then, if the tube warm up to 50-600C, water level rise again. Water volume decreases when temperature increases from 0 to 40C. This is an abnormal behavior of water that we call water anomaly. If the water temperature rises from 40C up to 1000C its volume also increases. This is the normal behavior of substances, a phenomenon that we call expansion. 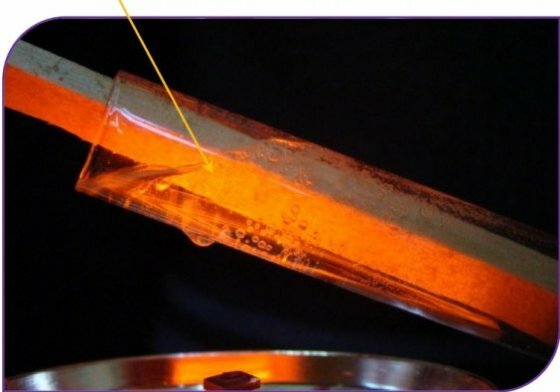 Introduce pieces of ice in the tube and fix them (with the rubber ring/mesh/wood rod). Pour cold water over the pieces of ice from the tube. What we will see? 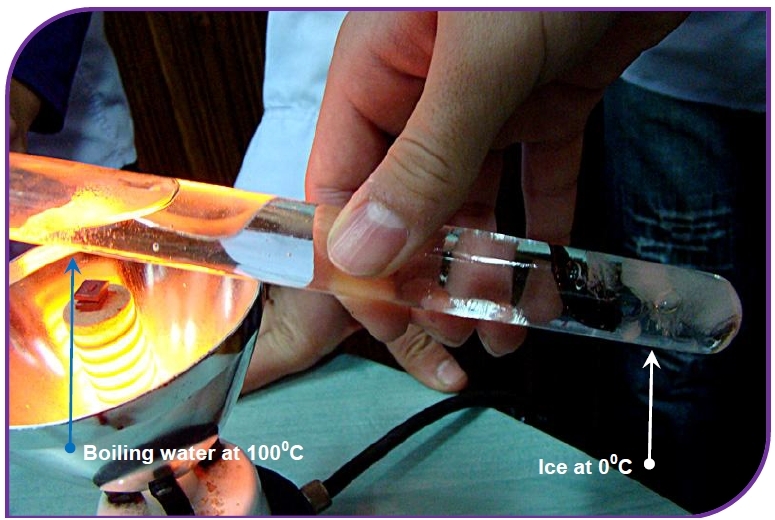 After a few minutes we will see that the water is boils at the open end of the tube and the ice don`t melt at bottom. 1. Hot water is lighter than cold and is not down, so no convection currents are formed allowing water heating throughout the meal. 2. Water, glass (and wood) have low thermal conductivity. This is why ice will not melt while water boils at the surface. Pour water into the flask (about ¼ of the volume) and heat it. 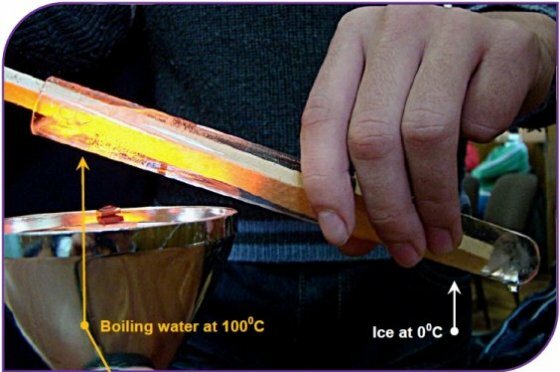 Note that the temperature increase to 100°C after which it remains constant and in water appear bubbles (with water vapors) that rises to the surface and break here. 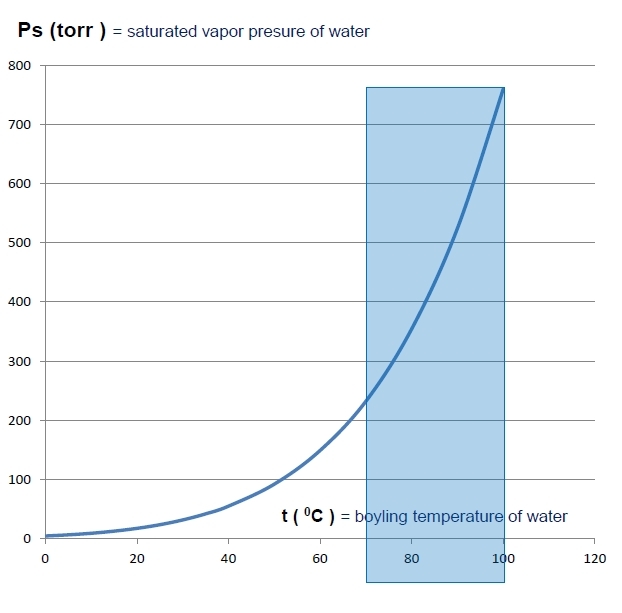 The processes described we call boiling of the water. Step 1(optional): If you have the manometer, tie it, through the hose, to the syringe which has the piston at the position: 0 ml. Step 2: Pull slowly the piston and observe at the manometer that the pressure from the syringe drops even more as the piston descends more. So we have a device, the syringe, with which we can make an acceptable vacuum (up to 0,25 bar). Step 4: Pull approximately 10 ml of water at 95°C in the syringe. Step 7: You will observe that at one moment the water of the syringe is starting to boil. Retain the position of the piston at this moment (or, if you have the manometer tied,retain the pressure value). 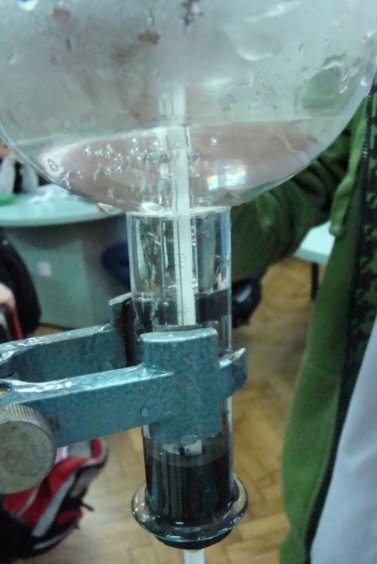 We don’t know the temperature of the water from the syringe, but we can say that it is lower than 95°C, the temperature that we pulled in the syringe and that at this temperature it boils because of the dropping of pressure in the syringe. Step 8: remove the water from the syringe and repeat the 4-7 steps. At the end you will find that you have to pull the piston more and more (to obtain in the syringe lower pressures) for boiling the water which is more and more cooler. With this method we were able to boil the water at temperatures lower than 70°C. 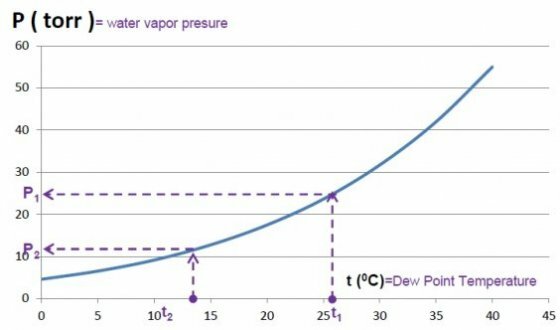 As we said, the experimental device doesn’t allow us to measure the temperature in the moment of the boil, but after the experiment we can conclude clearly that: The boiling temperature of the water is as lower as the pressure of the vapors from the surface of the water is lower. 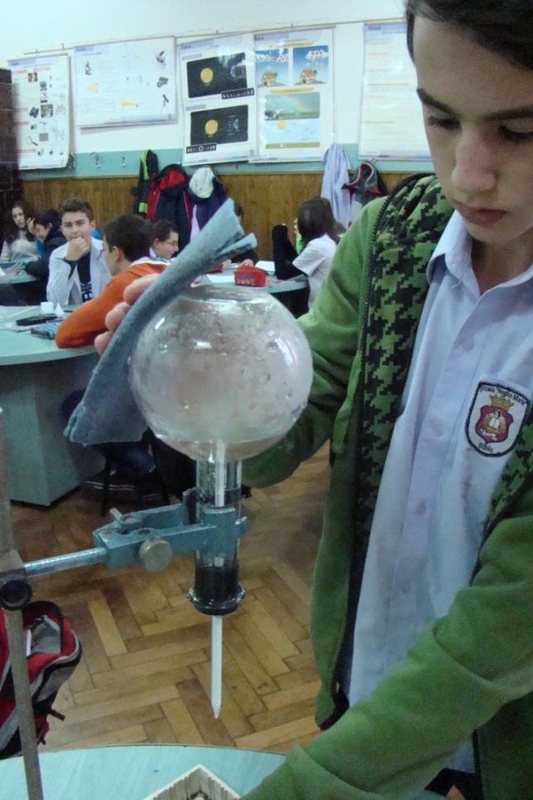 We are planning to perform our experimental device to also make quantitative determinations. Until that, we offer, may be useful for you, the correct dependence between the boiling temperature of the water and the pressure of its ―saturant‖ vapors, found in the literature, where we remarked the area which, approximately but relevant, we have just investigated. If yes let’s make dew ! A cup with cold water ( 0°C ). ( For example a cup with saulted water cooled in the freezer ). Step 2: Check that the outer surface of the cup be dry . Introduce the thermometer in the water from the cup and read the temperature . Step 3: Lower slowly the water temperature from the cup , pouring small quantities of cold water, mixing and watching the temperature. 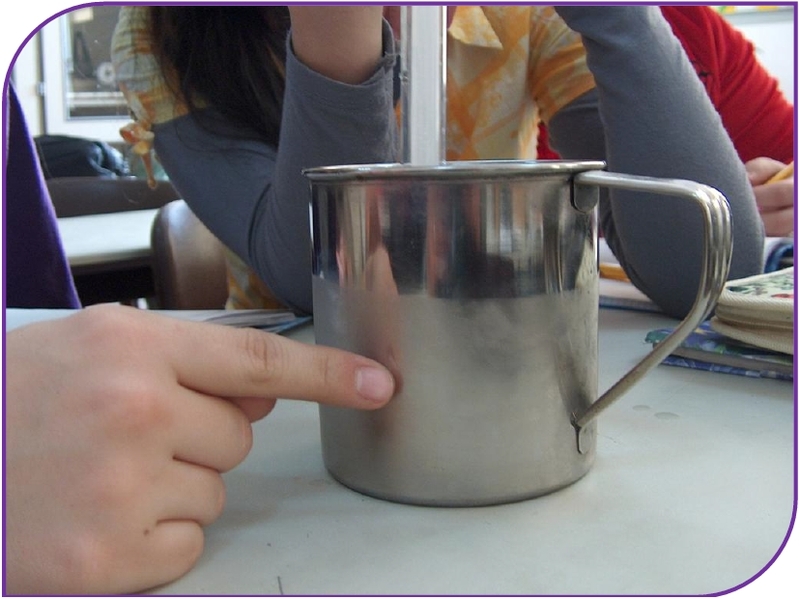 Watch carefully the outer surface of the cup and take care to not splash it during the experiment . Step 4: Repet the step 3 until the moment at which the outer surface of the cup become matt and whitish . Measure the temperature in this moment and record as t2 =........°C. Step 5: Pour in the cup a final quantity of cold water,to down the temperature with still 1-2 °C. You will see that the phenomenon observed at the surface of the cup from the step 4 become more pronounced. Well : You have just produced dew ! The deposit from the surface of the cup is dew. You can test it with your finger and realize that the surface is wet, or lower more the temperature and you’ll see small drops of water. 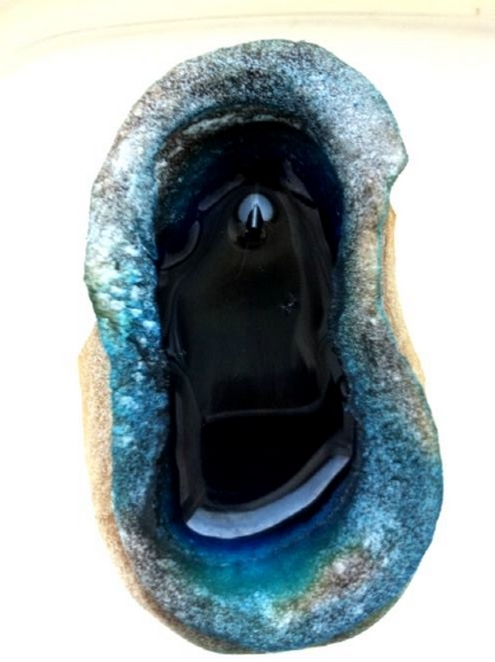 But from where have the water drops appeared on the outer surface of the cup? They appeared from air because we know in air there are water vapors : many when we say that the air is wet and few when we say that the air is dry. The water vapors from air condensed on the cold surface of the cup . You can repeat this experiment in different conditions: in rainy or sunny days . You’ll find out :. In this experiment we are interested in the marked zone of the diagram which is shown in more details below . 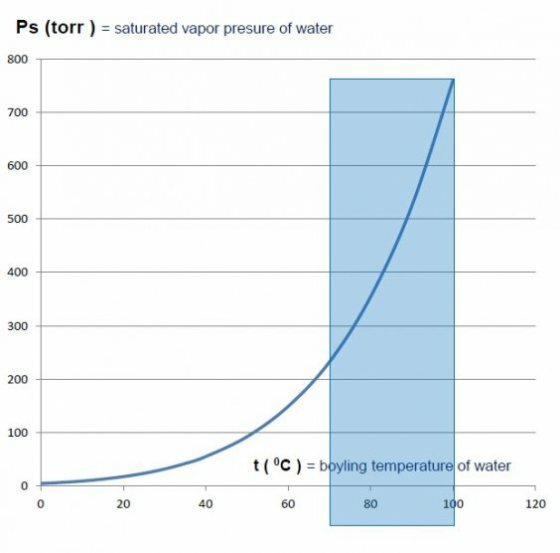 Accept ( learn ) that: for a given pressure of water vapors, the boyling temperature is equal with the temperature at which the water condense, i.e. with the dew point temperature. 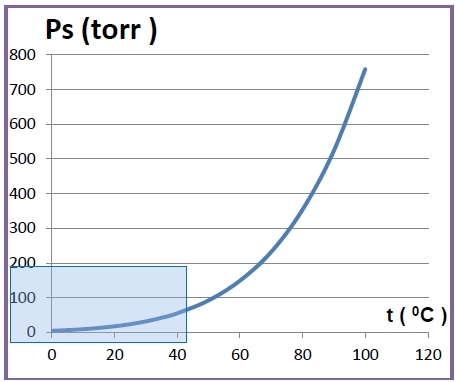 t1 = air temperature in the lab. Well , in this formula R.H. is nothing else that The Relative Humidity of the air, that you can often hear at The Weather News on TV. So , EVRIKA !, you have just discovered how can determine yourself, only with a thermometer and a cup , the humidity of the air . Do you still like the dew? make a very concentrated solution (it has to look very dark) from a food dye-stuff.Put half of the solution you get in a test tube and the other half in another test tube.You keep the first test tube as it is ,but double the water quantity in the second one.Repeat this 4-5 times,until the solution becomes very light.Putting the test tubes one next to the other you wil notice many shades ,becoming lighter and lighter than the initial colours. The very concentrated water and salt solutions are used to preserve foods: (cheese,for example).To get a solution with a quite big concentration ,we will add so much salt in the water until a fresh egg can float.Only the solution gets the right concentration. If water is evaporated from a solution of water and salt,we can get salt crystals .If the solution is concentrated and the water is evaporated slowly at the room temperature,the crystals will become bigger and they will take the shape of a cube, exactly as they are in nature. 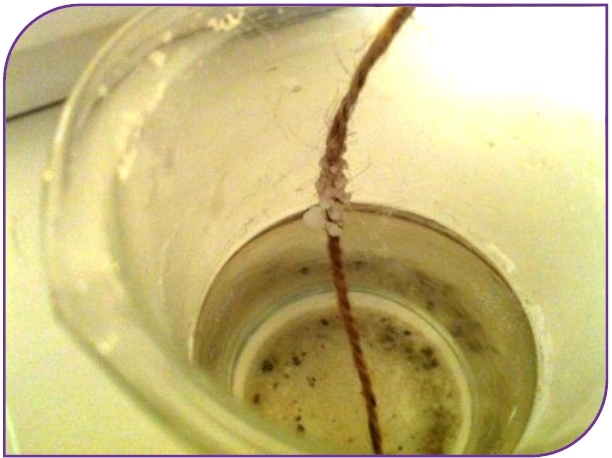 A special crystallization can be obtained in the following way :we put some concentrated water and salt solutions into two glasses.We put a saucer between the glasses.We cut a piece of rope which should be longer than the distance between the two glasses. 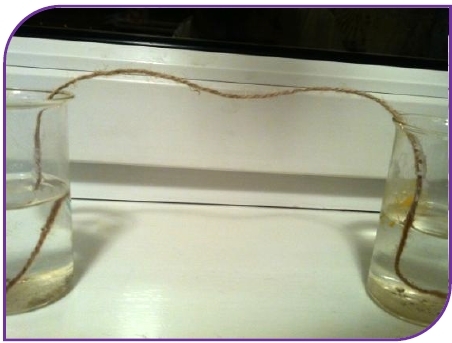 We put the rope ends in the two glasses ,into the solution. We leave them at the room temperature while the water absorbs the whole length of the rope.Then it will evaporate. 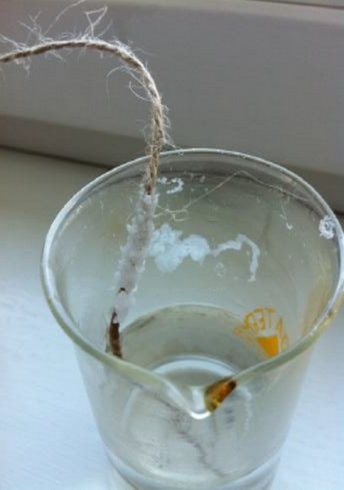 During this time, salt crystals will appear on the rope. The whole process needs a longer time, one or two days. How do trees and plants feed themselves? It is very difficult to raise water at the height of a tree,so that the necessary sap will reach its leaves. Water pumps can raise water only at heights of 10-15m , which is not enough in case of tall trees. However,‖nature‖ manages to do this.The solution to this phenomenon is called ―osmosis‖.The solutions that feed the plants and the trees, the ones that are inside them, are more concentrated than the outside water,found in the ground or in the pot where we planted a flower.Water flows towards the inside part of the plant to reduce the concentration here. In this way water rises itself more and more inside the plants. To demonstrate this phenomenon take a potato ,peel it, cut it into two halves and hollow it out.You get two holes –it is better to have both holes of the same size .Cut a slice in the lower part of the potato and put the two halves on two plates.You put water inside the two hollowed potatoes. You put half of a teaspoonful of sugar in one potato.You put water in the plates at a level of about 1-2 cm.To notice this phenomenon better,you colour the water in the potato with some food-dye-stuff. 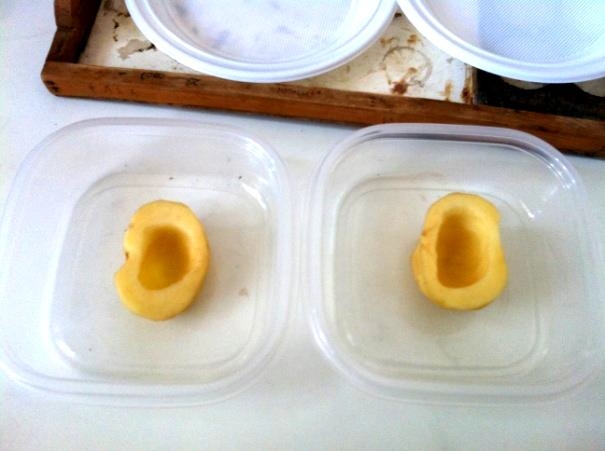 You look at the potatoes 5 or 6 hours later .The water level will rise only in the potato where you put the sugar ,so the water has been absorbed. This is what happens when plants feed themselves. 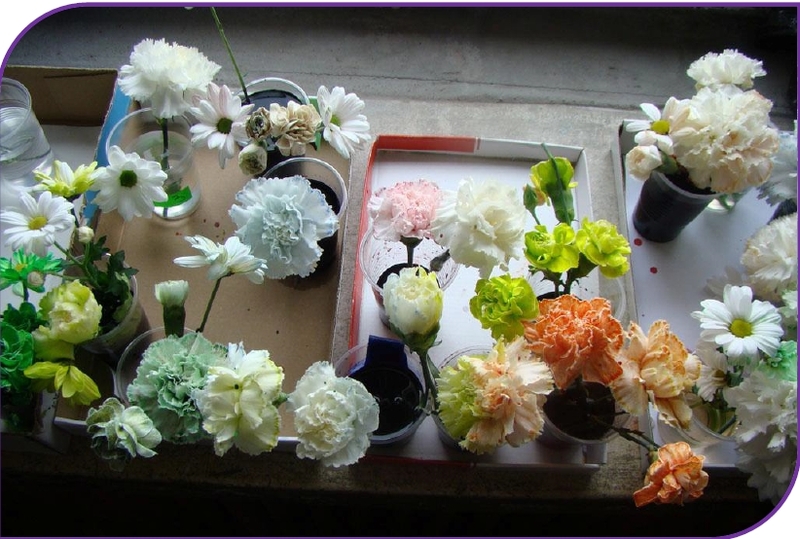 Following this method, we can colour a flower.We take a white carnation and cut it along its stem. We insulate it with cello tape to stop a longer split.We put some water into two big glasses. We put some ink or some food-dye in one of the glasses.We put a split stem of a carnation into a glass and the other split stem into the second glass ,with the coloured water.